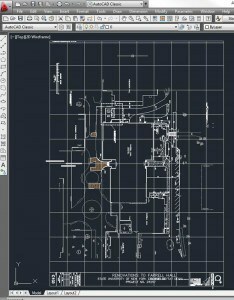 The PDFin plug-in opens PDF files for editing directly within AutoCAD and other Autodesk applications. 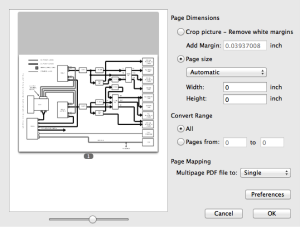 It’s not just another PDF Viewer or Underlay… It’s more! It extracts editable objects and text from the PDF and presents you with a drawing that's good to go. 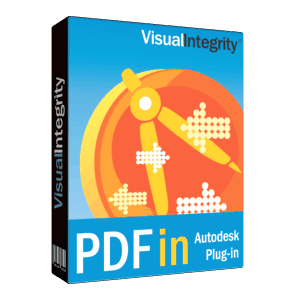 Certified and available via the Autodesk Exchange Store or directly from Visual Integrity, the PDFin plug-in unlocks a PDF drawing in one easy step. Once installed, you access the app via command line or from a toolbar icon. PDFin will immediately open any computer generated PDF file. These vector PDF files are created using save, export or print-to-file on a computer. PDFin is unable to extract drawings from scanned drawing or hand drawings. All objects can be modified. Text will be editable as MTEXT as long as it was stored as characters in the original PDF file. If it was “plotted” as pen strokes, the text will appear but can not be edited. 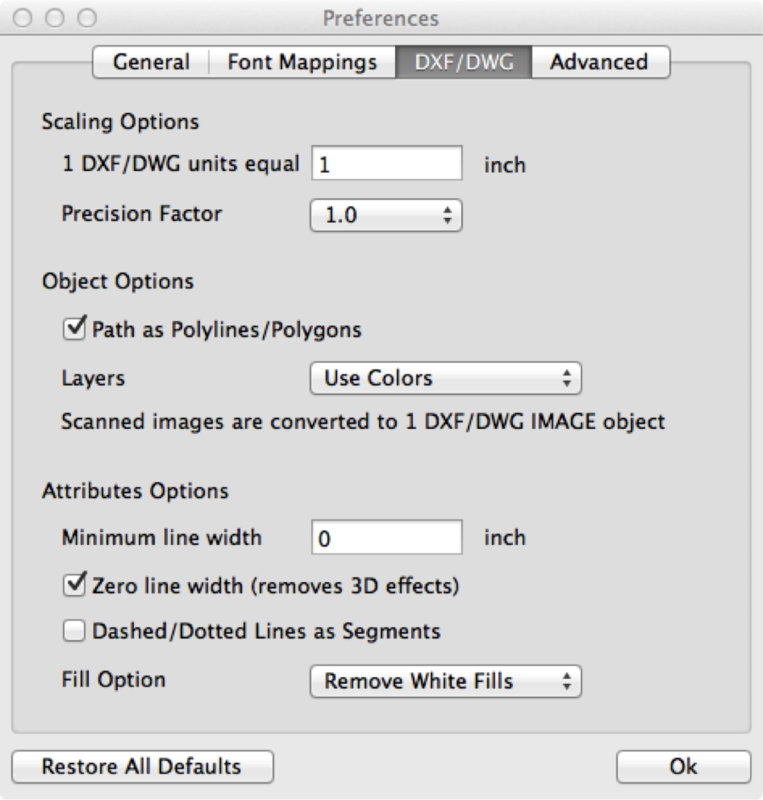 The PDFin plug-in is not for scanned drawings and other raster PDF file. 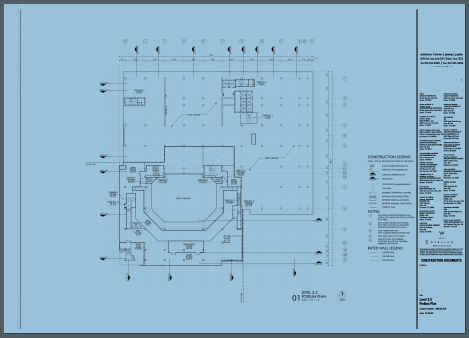 The PDF Underlay feature in AutoCAD can be used for these files. 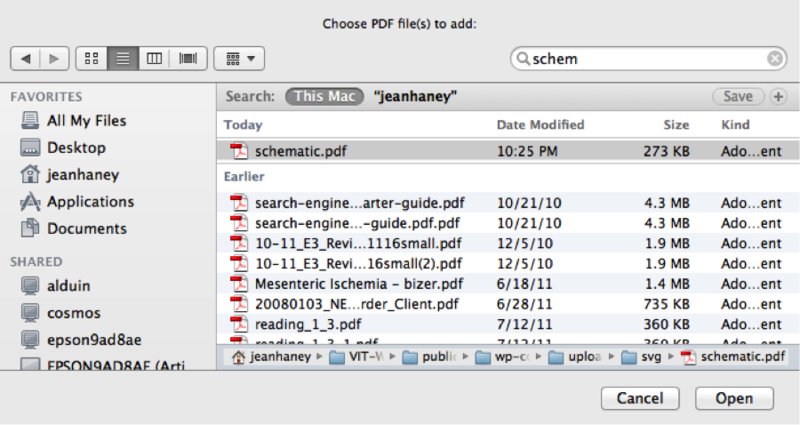 The PDFin plug-in opens one page PDF files. 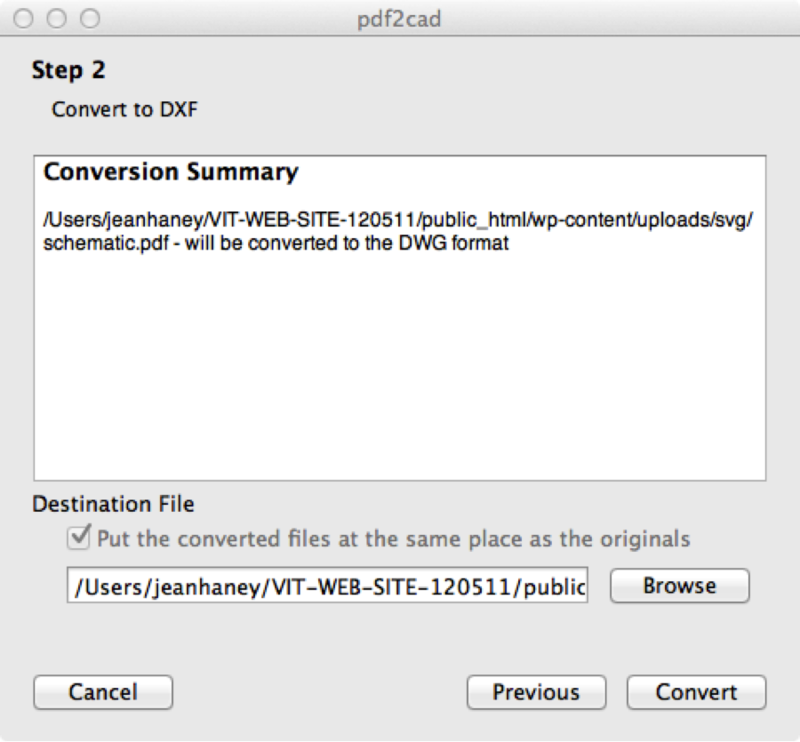 For multipage conversions, support for layers, custom rotation and other advanced options, consider purchasing pdf2cad. We are proud to be one of the first suppliers of plug-ins for the Autodesk Exchange Apps. Learn more about the exchange and the benefits available for Autodesk customers. The PDFin (formerly pdf2AutoCAD) Trial is free. You can download it either from Autodesk or directly from us. The links are below. Please note that the Trial version is fully functioning but each file will be stamped with a watermark. It should not get in the way of seeing whether your file opened correctly. If you do find it intrusive, just let us know and we will convert a test file for you without the watermark at no charge. This stamp is disabled when a full license is purchased. Now, you can easily use SVG in Visio and other ps applications. Scalable Vector Graphics, the W3C and HTML5 standard (SVG) is one of the vector output formats in pdf2picture. 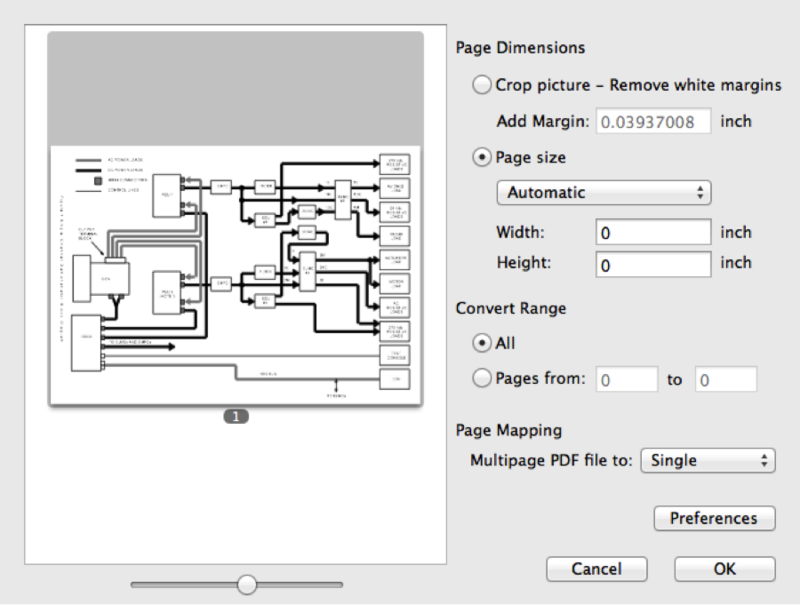 Just select the PDF files you want to convert and choose SVG as the output format. The resulting file can be opened directly giving you an easy and accurate way to use SVG in Visio. 3. Once in Visio, right click on the drawing and Ungroup (ignore any errors Visio may present). You may need to delete an exterior container and right click to ungroup again. 5. When fully ungrouped, you should see pink. 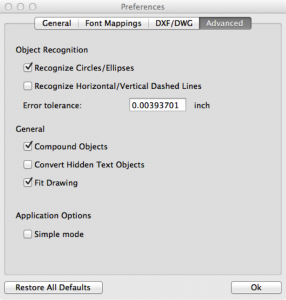 Click anywhere outside the margins of the drawing and this will deselect all objects. 6. You are now ready to select and edit whatever you want, including the text. Who should subscribe to the Priority Engineering Program? The Priority Engineering Program (PEP) gives direct access to our most valuable resources, our engineers. Not many customers need this level of support, but for those who do, it’s invaluable. Through the PEP program, you’ll get all the support and advice you need integrating our technology with yours plus we’ll make custom builds to fix and tweak the software just for you outside or our normal release schedule. The ideal candidates for PEP are OEM’s and selected SDK customers. Another way to gauge whether the program is a good fit is to evaluate your input files. If they are predictable and all from one source, PEP is not required. If you get input files from many different sources, and expect to need to trouble-shoot errors, PEP is a good idea. For more information, contact us. 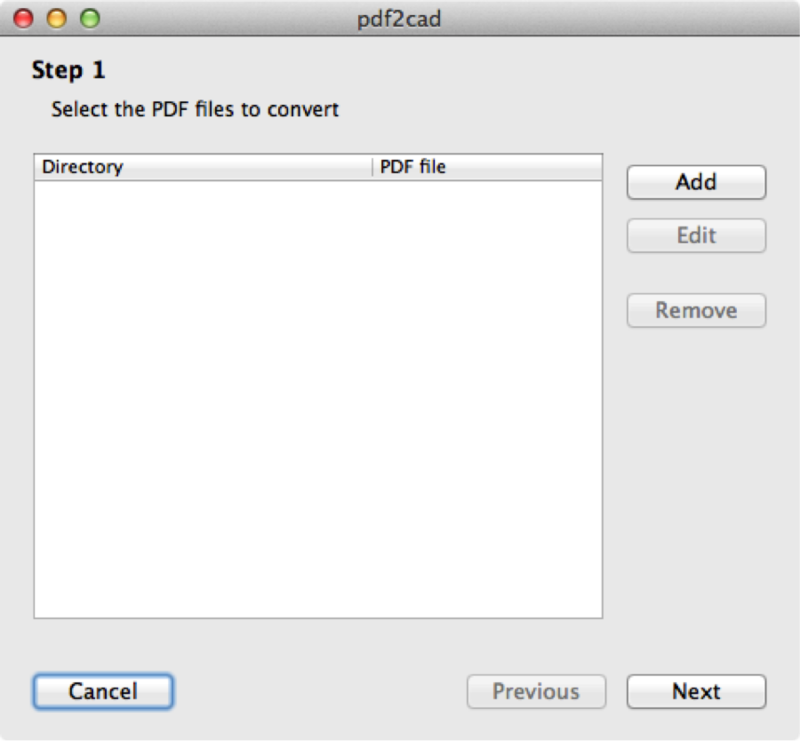 To run PDFin (formerly pdf2AutoCAD), use pdfin on the command line in your AutoCAD or Autodesk program. 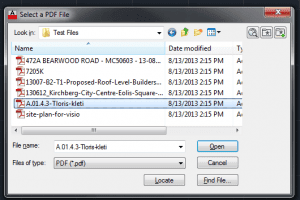 This command will launch a PDF File Selection Dialog. Can I convert a PDF into one grouped object in Visio? Why can’t I see this EPS file on screen? Do the products run on UNIX and Linux Versions such as RedHat? Red Hat is our development platform so it’s the flavor we officially support. Since our software is developed with best practices and is very portable, it should run on other compliant Linux platforms. We have had customers report successful installations on other Linux versions such as FreeBSD and SuSe (64-bit AMD). If you are running a different Linux version than Red Hat, please do try to install the Linux version and let us know how it works. In addition to Linux, we also have versions available for Sun Solaris, HP-UX, IBM AIX, Mac OS X and Microsoft Windows. When should I choose PNG? Most of the time! PNG is a very versatile image format and is generally good in any situation. It’s a safe choice. It’s compact for an image format and supported well by both Web browsers and desktop applications such as Microsoft Office. It is a better choice than GIF for line-art and illustrations which do not contain many colors and it is an equally good choice for high-color images like scans and photos. It supports transparency. At the high-end, JPEG may still be a better choice for detailed photographs and realistic pictures. It’s good to do a few experiments with your images by converting them to both JPEG and PNG-24 and then judge quality versus file size/load time to make your choice. Do I still need an SVG Viewer? SVG has come a long way since 1999. At that time, Adobe offered a special browser plug-in so SVG files could be viewed. Now, 12 years later, SVG is the graphics foundation of HTML5 and built into all of the major browsers. Below is a list of each browser and when it added reasonable SVG support. If you are using this release or later, you should be able to view SVG without problems. The Adobe SVG Viewer is no longer required. The Computer Graphics Metafile (CGM) format is primarily used for the storage and exchange of technical data in industries such as Aerospace, Defense, Automotive, Oil & Gas. CGM files may contain vector graphics as well as raster images and font text. They are typically used for technical illustrations in SGML/XML documentation systems, and now, more and more, for Web-based systems like IETMS (Illustrated Electronic Technical Manuals) and e-Catalogs. Visual Integrity helps industry manufacturers, suppliers and software vendors turn graphical data into the CGM format. It does so for many source applications which do not offer CGM output, and also for applications which already do – but are incompatible with the end user’s target application. CGM files generated by our software are compliant with all levels and industry profiles. By default, our software produces the common denominator subset of CGM (we like to call it ‘vanilla CGM’) to ensure optimal interoperability with the viewing, authoring, and publishing environment downstream. This ‘vanilla CGM’ handles files typically produced and used in technical industries. Which format do I need – vector or image? What resolution should I choose during Conversion? When do I need the MIF format? 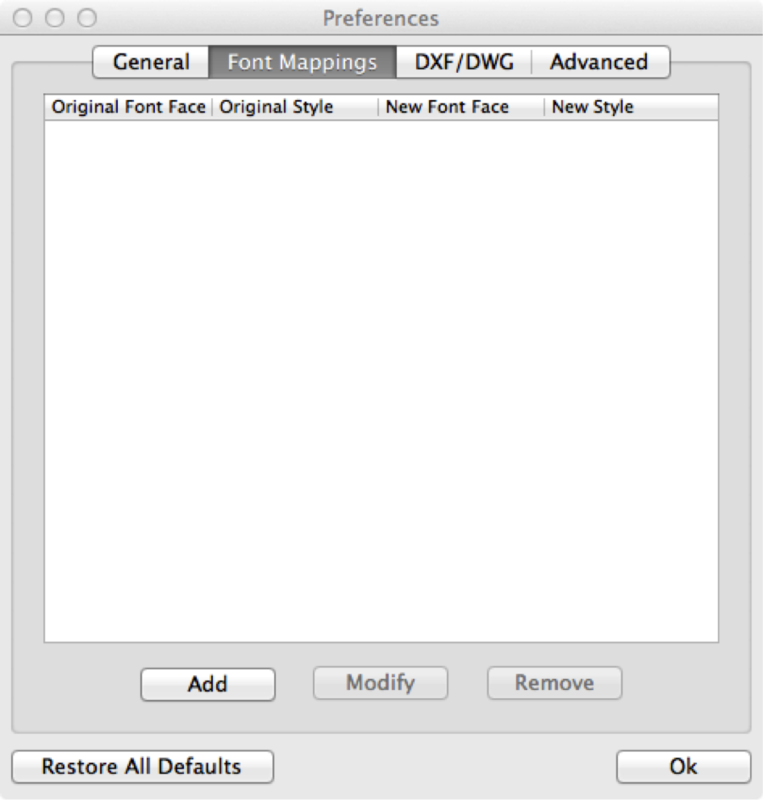 If you need to provide graphics to someone using FrameMaker from Adobe or you are using it yourself, MIF is an important format. MIF stands for “Maker Interchange Format”. It’s an exchange format used extensively in the past in technical documentation groups. It’s sun is fading now as SVG begins to rise in importance at Adobe and in the world-wide web in general as the standard vector format of HTML5. How do I add the license number to a product when the trial period has ended? When you purchase a product from Visual Integrity, you are assigned a serial number. This code is is used along with some other unique data to license your software. It also acts as your customer number. The download that you receive upon purchase is pre-serialized and activated. All you need to do is double-click to install it. If you have an evaluation version on your system already, it will overwrite the files to unlock it. If you have questions, please contact support@visual-integrity.com. How do I create a WMF file? Most applications support WMF and/or EMF in their Save As or Export menus. Ever since Office 2003, you can select graphics, in an application right-click on them, choose Save as Picture… and then select Windows Enhanced Metafile. In earlier Office versions, you could copy graphics to the clipboard and use VBA routines to save them as WMF or EMF disk files. If you are a software developer, you can feed your GDI display or print code directly to the META FLY library or save them as WMF or EMF files first. Can you describe the engine architecture? All of Visual Integrity’s products are built upon the same framework. Some are scaled for enterprise use and some are packaged for ease-of-use on a Windows desktop. No matter which product you use, it is built upon our proven and reliable engine, a framework which has withstood the demands of many of the world’s most respected companies for more than 20 years. Advantage Support is a 12-month subscription which ensures that you are always up-to-date and have support if you need it. Subscribers get all updates, upgrades, new versions and replacement software if needed. Access to the priority support queue is also included. There is no additional charge for any of these great benefits. How do I know if there is a new product upgrade? All of our products have a small icon with two arrows in the lower left hand of the screen. This is the “About” box. Clicking on it will display your version number. Compare this to the version number of the latest release on our web-site (click on product page; the version number will be on the first product tab) and see whether you need to upgrade. 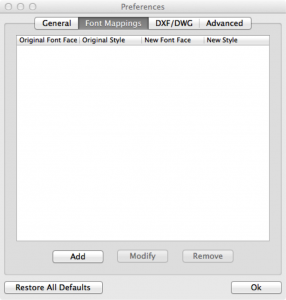 Are Acrobat or GhostScript required? No, neither Acrobat nor GhostScript are required. All of our products are standalone tools, completely self-contained, and based on our powerful engine developed, improved and extended over almost two decades. Our products are not based on print drivers as brokers so the conversions are more pure and accurate. Everything that you need to run them on your desktop or to use them for you development is included in your delivery download. 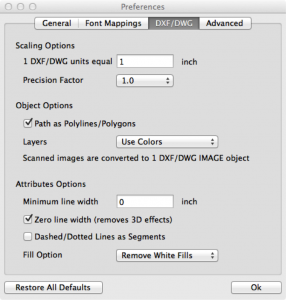 Which PDF conversion products does Visual Integrity offer? 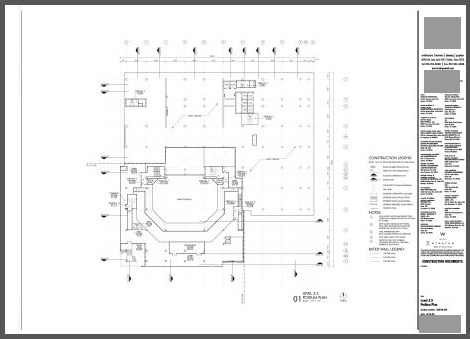 PDF FLY (http://www.pdf-fly.com) includes all the output formats of pd2image, pdf2picture and pdf2cad. In addition, it also supports PostScript and EPS as input formats. In addition, we offer a range of tools for both application developers and systems integrators. The PDF Pro series is an affordable, entry level line for in-house and non-commercial developers. FLY Batch delivers enterprise power for automated server-side conversion. 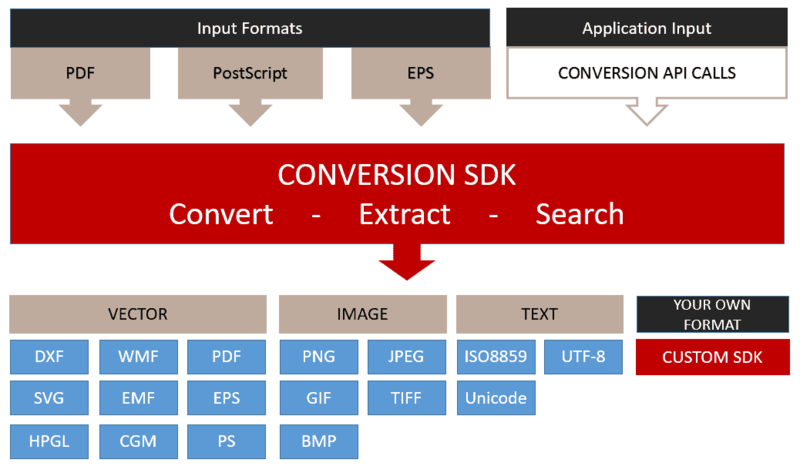 FLY SDK offers a DLL or command-line interface for integrating PDF import, conversion and creation in applications. The software shuts down, hangs or returns an error without completing conversion. This is very unusual. It’s possible that a setting needs to be adjusted. For example, check the “Options -> Pages” tab and make sure that it is set to convert all pages and not just a page rage that may not exist (retained from a previous conversion). Beyond this, we can not assess the problem without seeing your file. Your file could be corrupt or our conversion engine might not be able to digest it properly because it is poorly formed. Please send the file to support@visual-integrity.com for analysis, and let us know what product and version you are using. I’ve converted my file but I can not ungroup and edit it – why not? Visual Integrity products are designed to generate editable files (vector files) whenever possible. The success depends, however on the type of input. 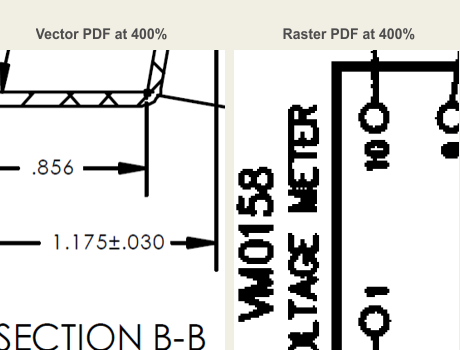 There are two types of PDF files – vector and bitmap. 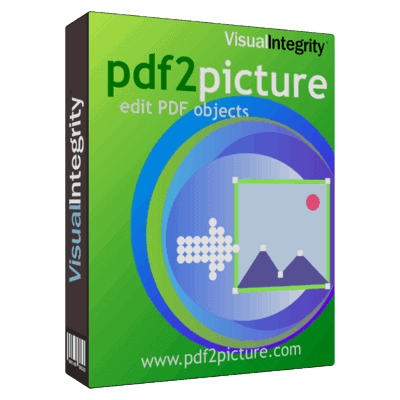 Vector PDF files contain data defining all of the objects and text in the file. They are scalable and resolution independent. No matter how large you magnify them or how small you make them, they will look great. Our software will convert any vector PDF files into an editable vector file. Bitmap or Raster PDFs are usually created by scanners or received by fax software. During the process, all of the file information is flattened into one image comprised of dots. 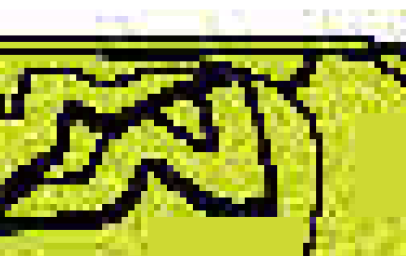 When magnified, a bitmap PDF file looks very jagged. Our software will convert bitmap PDF’s in image mode and you will get a high-fidelity reproduction which can be inserted into your document or presentation but which can not be edited. Once you know what kind of PDF file you have, you will know whether it will convert into an editable vector file or not. If you are interested in converting a scanned drawing or bitmap PDF into vectors, you need to look for a different class of software. Try searching for “raster to vector” or raster2vector” in a search engine to find potential products. When you buy a license or register for evaluation, we will provide you with a “Download Now” link for your product. Click on the link to start the download. We recommend that you save this file to your hard-disk (choose location) and then simply double-click on it to start the installation process. Follow the instructions until installation is complete. For batch automation (FLY Batch and PDF Pro CL): In order to enable the batch conversion engine for use via the command-line, you must add the installation path for the software to your %path% variable. I’m having download problems. What can I do? Try downloading again directly from our site. Evaluation versions of our products are available from popular external download sites and the hosted version may not be current. Try again in 5 minutes. It may have just been a temporary Internet connection problem. Check with your system administrator to see if you are allowed to download .exe files from the Internet. Your company firewall or security policy could be preventing you from getting the download. If this is the case, let us know and we can point you to an alternative download via FTP or ZIP file. For further assistance, please contact support@visual-integrity.com. If needed we can also send you the software via email. Will I need a license key to install an evalaution version? Not anymore! We listened to feedback and have done away with the watermarked eval on the end-user licenses. Now, you can try a fully-functional version of any product for 30-days. Once it expires, it must be purchased or it will no longer operate. Since developers may need longer with the software, we have left the watermark on these versions and they continue to be available without any time limitation. Once the installation is completed, where is the program located? By default, our software is placed in C:/Program Files/Visual Integrity unless you specify a different location during installation. 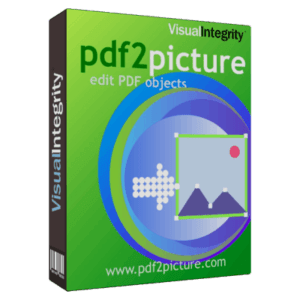 The Visual Integrity folder will have a subfolder for each product, for example, pdf2image, pdf2picture, PDF FLY, etc, which contains all the relevant files. The .exe file with the name of your product (for example, pdf2picture.exe, pdffly.exe, etc) is the actual conversion program. Double-clicking on it will launch it. In addition during installation, you are asked if you want icons placed on your desktop and you quick launch bar. To revisit this, just reinstall the software. Can an Expired Eval be Extended? Evaluation versions of all Visual Integrity products operate with full functionality for 30days, after which they time-out. This is generally sufficient time to assess whether they will be a good solution for you. It is possible to extend the evaluation if necessary. In order request an extension, please contact us. We can also help you to test a product, by converting sample files for you. The results will be sent back to you by email. I love this software and want to buy it. Can I unlock the version I already have installed? Yes. We can send you a license key to unlock it. Just give us a call. Alternatively, if you place your order online, you will be presented with a fully serialized and licensed version. You can burn it on a CD for your archives and then install it to ensure that you have the latest version. There is no need to remove the previous version. The new version with overwrite the evaluation version and apply your unique activation key automatically. When I purchased the software, I received an email with a license key. What do I do with it? Most customers purchase online and receive their fully licensed download link immediately. There’s nothing more to do. However, if you purchase via selected resellers or directly from Visual Integrity with a purchase order or check, your order is manually processed. In this case, an email with a license key is sent which unlocks the software for permanent use. If you have lost the instructions or your license key, please email support@visual-integrity.comand we will be glad to assist you. Note! If you are expecting a manual confirmation and have not received it, please check your spam filters and firewalls to ensure that they have not blocked the mail containing the license key. I want to try Fly Batch or the Windows SDK, but the download only gives me the desktop version. How can I get the API? 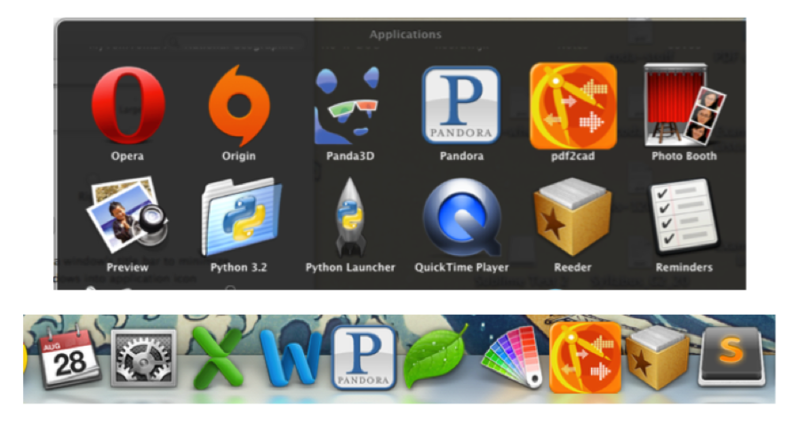 All of our desktop products are based on the same engine that drives our developer tools. Because of this, we recommend a two-step approach to evaluations. First, get a reliable indication of the core functionality and output quality by performing test conversions simply using end-user 30-day trial versions. Then, using additional documentation, the same standard Windows download will also allow testing of the command line, which is a straight-forward interface for many development environments. Contact us for instructions on how to use it if the information provided on the web-site is not sufficient. Evaluations of the API/DLL are available for download also. Please contact support@visual-integrity.com for the download link. What’s the difference between the two developer components – FLY SDK and FLY Batch and how do you choose which one to use? FLY Batch is used via the command line to automate conversions as part of a larger process or work-flow. It works without user intervention based on scripted calls or watch folders. It supports many standard image and vector output formats as well as text. Output can be highly customized using intelligent filter options which are applied as part of the conversion. The API developer tool, FLY SDK, calls the DLL engine from a VB/C++ program is a separate file containing LIB and header files and sample source code. It requires a license code to be unlocked. The DLL can be used to convert specified files or via Windows GDI calls. For both the FLY Batch (command-line) and FLY SDK (API/DLL), all filter parameters such as rotation, resolution and font mapping are defined in the tgc.ini file. An overview of the options and their use is available in PDF format below. These options are checked and applied during conversion to the output format. Developers need to download and install the current version of PDF FLY or META FLY, which is the same product that end users download. This includes all developer interfaces and the DLL’s as well. It also includes all of the command line scripts. When called from the command line, the software will run in evaluation mode by default stamping a watermark on every output file. The license key file received upon purchase removes the watermark. 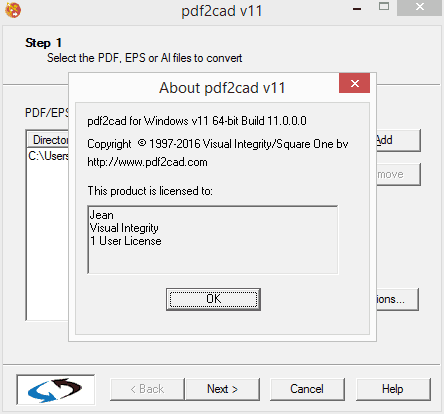 Is there a developer kit of pdf2image, pdf2picture, pd2cad and PDF FLY ? Yes!. We offer the PDF Pro Series, a collection of robust, value-priced SDKs for corporate and limited commercial development for converting PDF into other formats. FLY SDK provides robust functionality for OEM’s and commercial developers. Please contact us to discuss your project and get onto a fast-track evaluation. We’ll help you tune the parameters and optimize the results to ensure your integration is smooth and makes the most of our SDK. See flysdk.com for more information ! Can you explain the syntax of the FLY Batch command line and how to apply filter options to the conversion? FLY Batch is for process automation, integration and server-side automation. The powerful batch executable allows you to invoke the DLL engine via the command line. 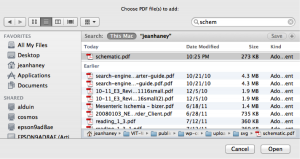 The functionality is embedded in the standard PDF FLY and META FLY downloads for evaluation. This installation path must be added to the %path% directory. 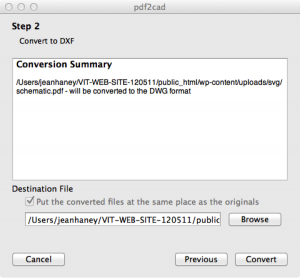 To convert PDF files, run pdf2xxx. 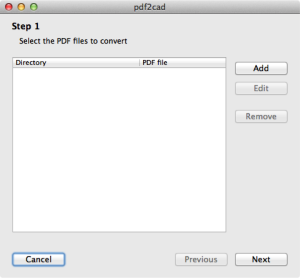 Settings for pdf2xxx are defined in the pdf2xxx.ini file. To convert PS or EPS files, run ps2xxx. Settings for ps2xxx are defined in the ps2xxx.ini file. To convert WMF files, run wmf2xxx. Settings for wmf2xxx are defined in the wmf2xxx.ini file. To convert EMF files, run emf2xxx. Settings for emf2xxx are defined in the emf2xxx.ini file. See the “options” PDF file for an overview of the variables and their use. You can open and edit the .ini files with a text editor like Notepad. The pdf2xxx.ini file is used for PDF and the ps2xxx.ini file is used for PostScript and EPS. The extension of your source file determines which conversion filter will be invoked. So, for example, to convert myfile.eps to myfile.svg run: ps2xxx myfile.eps myfile.svg. To convert myfile.wmf to yourfile.jpg run: wmf2xxx myfile.wmf yourfile.jpg. Need help? Call us or email support@visual-integrity.com. How easy is it to add the API calls of the FLY SDK? 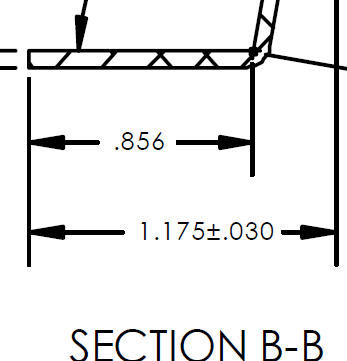 Can I add or delete objects in the PDF file during conversion? The FLY SDK API has been extended with a powerful, new option to parse through a list of text, vector and image objects in a PDF-file and then edit, delete or add objects to the page. This page can then be generated as a PDF file or any of our other output formats which include DXF, HP-GL/II, WMF, EMF, CGM, MIF, SVG, ASCII, TIFF, BMP, JPEG, GIF, EPS, and PostScript. This new feature hold significance in the regulation and compliancy markets, among others, where it’s important to remove or redact privacy-related information from files. Can I program stamping or watermarking during conversion? The new “Merge & Mark” feature allows you to add any PDF, EPS or PS file during your conversion as a background, watermark or stamp to the files that you are converting. This new merged file can then be fed to the conversion engine and output in any of the supported vector and image formats. Once I open the converted PDF file in MS Office, do I need to do anythng more with it? Can I use pdf2picture to convert PDF to PowerPoint? When my PDF file was converted to a WMF vector file, the output had the lines and fills in the wrong places. Why? Several vector formats such as WMF, CGM, DXF and HPGL do not support cropping. This is the act of cutting away and discarding the unnecessary portions of the picture such as extraneous fills and other elements. PDF and PostScript, both very robust and complete formats, do support it. To bridge the gap, Visual Integrity has developed a proprietary method to simulate cropping. When applied during conversion, the resulting file will appear cropped just like the original. 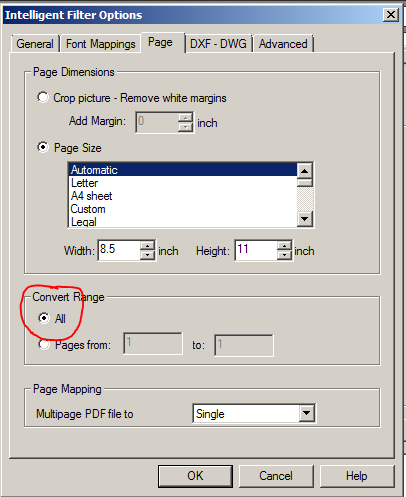 To apply it, select the “Emulate PS/PDF cropping” feature in the General tab of the Options menu. The text looks different when I convert my file with pdf2picture. Can this be improved? Probably. The file format used by Microsoft Office does not embed fonts. Instead, it loads fonts based on reference when the file is opened. If the font specified does not reside on your system, the closest will be substituted. To add to the challenge, it expects the fonts on you system to use exactly the same name as the fonts in the file which is often not the case. Two different applications may define the exact same font with slightly different names. When you want to ensure a great match, you need to create a font mapping. The text looks broken-up or condensed. Why? When I converted my file, the fonts loked all wrong in the resulting vector file. How can I get them to translate properly? In case of SVG or EMF as output format we support kerning. Please contact us if you need more information how to configure thus. Turning this option on could improve the WYSIWYG of the text strings. Don’t see the answer you need? Ask it now! We are usually just minutes away… Use this link to ask us your question now. If we have a specialist free, you will enter a live chat session. If no one if free, you will be able to pose your question as a message and it will be ansered as soon as possible, usually within a few minutes. Clisk Above on “Ask a Specialist”. 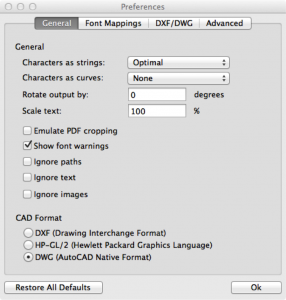 Double Click to install the PDFin (formerly pdf2AutoCAD) plugin. Open AutoCAD or another compatible Autodesk program. The PDFin plug-in can be run two ways – either via command line or from the Toolbar. To run via Command Line, type “pdfin”. To run via the Toolbar, select the icon. You may need to add it if you have a customized interface. 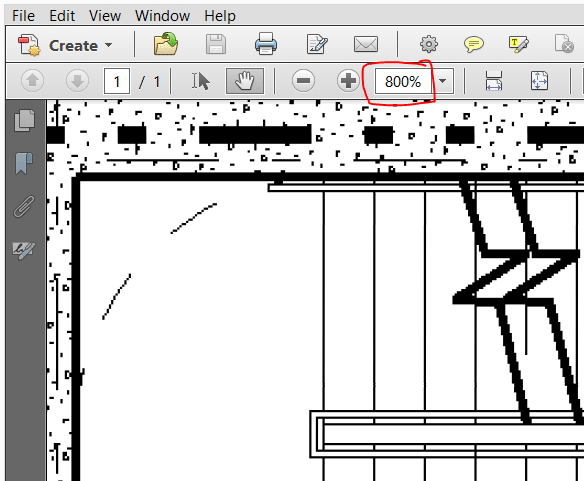 Once the PDFin icon is added to the Toolbar Ribbon, you can use it to instantly open any vector PDF file in AutoCAD. Select you PDF file to open. 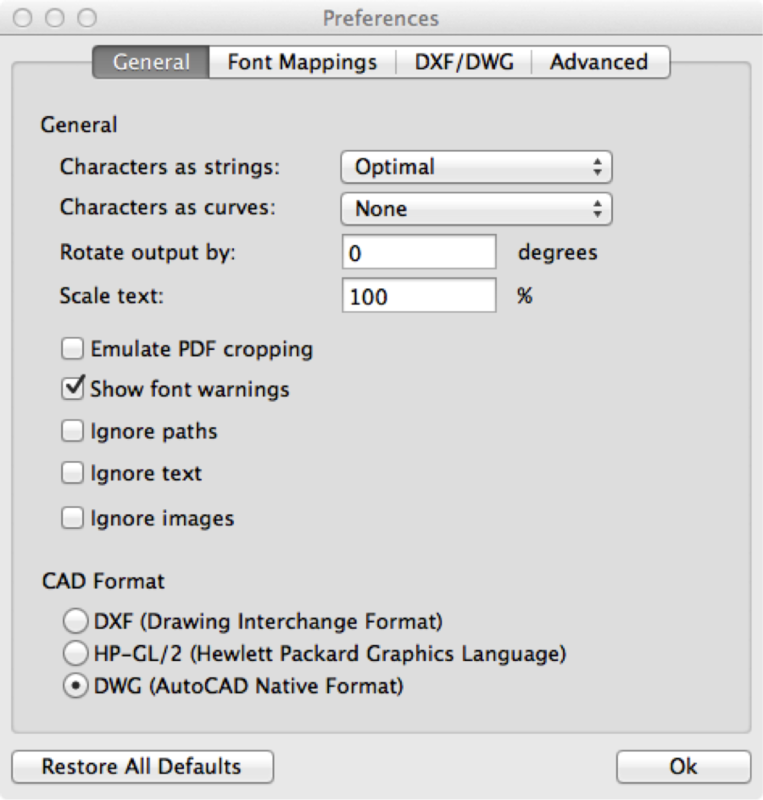 Wait for any messages or warnings to complete and then click OK to view the PDF file in AutoCAD. Once the file is displayed, you can edit the objects and text. PDFin is a plug-in which requires AutoCAD or another Autodesk program which supports the Autoloader API.